The German shipbuilder Lürssen Werft has been selected to design and oversee the building of the Australian Navy’s 12 new offshore patrol vessels. But in a move that has startled some in the industry, the government announced today that Lürssen would team up with West Australian shipbuilder Austal and a subsidiary of a WA engineering company, Civmec, to build 10 of the vessels in WA. 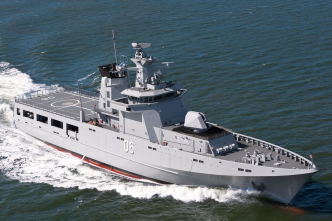 The promise to build 10 of the vessels in WA was made long ago, but Austal had joined with another German company, Fassmer, in a rival bid while Lürssen was originally teamed with Civmec and the Adelaide-based ASC. 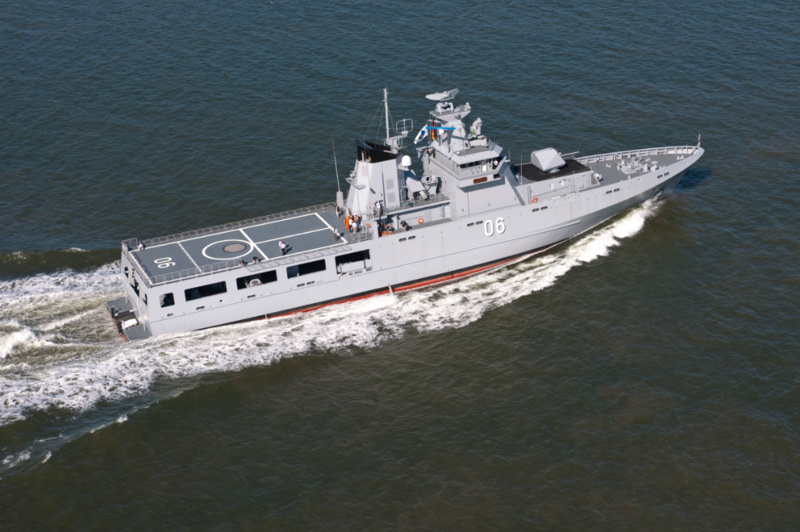 The third contender for the contract worth well over $3 billion was the Netherlands company Damen, which had also teamed up with the Civmec subsidiary and ASC. The first two vessels will be built in Adelaide by ASC Shipbuilding to ensure continuity of employment for skilled personnel before work begins on nine future frigates in 2020. Work on the first OPV is scheduled to begin there in the third quarter of 2018. Austal CEO David Singleton told The Strategist he believed the government had made a very sensible decision. On most of its shipbuilding projects Austal was involved in, about 70% of the work was outsourced to other companies. He said Civmec was a highly competent steel fabricator and the two companies would work very well together. Mr Singleton said Austal was the experienced shipbuilder of the pair and it would construct the vessels at its Henderson yard, so sharing work with Civmec was not a problem. That would benefit both Austal and Civmec, he said, and provide shipbuilding in WA with a 15-year backbone. The announcement by Defence Industry Minister Christopher Pyne contained little detail but said that once the first two OPVs were built in Adelaide, the project would shift to the Henderson Maritime Precinct in WA where Lürssen would use the capabilities of Austal and Civmec to build 10 more vessels ‘subject to the conclusion of commercial negotiations’. ‘Under the model announced today, Lürssen will be the prime contractor leading a fully Australian build team comprising experienced shipbuilders as directed by the Australian government,’ Mr Pyne said. 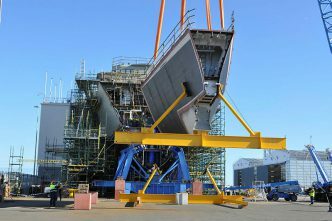 For decades, while Australia’s shipbuilding industry struggled with delays, cost overruns and uncertainty about its future, Austal was a success story that sailed largely under the radar. The company began 20 years ago building crayfishing boats and then began building giant aluminium ferries for the international commercial market. Its civilian ferry designs so impressed senior officers from the US Navy that they borrowed one to try it out and then contracted the company to produce a military version for high-speed operations in waters near to land. In October, it won a $190 million contract for two high-speed trimaran ferries to operate in Spain’s Canary Islands. The 117-metre-long aluminium-hulled ferries are of a design similar to the very fast Littoral Combat Ships Austal builds for the US Navy at its shipyard in Mobile, Alabama. Austal also announced the signing of a contract to build a 15th Independence-class littoral combat ship for the US, bringing total sales of the sleek and futuristic looking vessels to over $8.5 billion. It is also building 19 steel-hulled Pacific Patrol Boats at Henderson. During the bid process, Lürssen said it wants to use the OPV contract to establish a strong enough foothold in Australia to begin exporting warships from WA to regional allies. The family-owned company, which has been building ships since the 1870s, was one of three European contenders for the OPV project with a version of its Darussalam-class corvette it built for the Royal Brunei Navy. 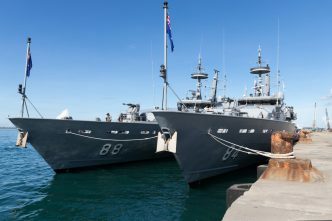 The 12 OPVs will replace the navy’s 13 much smaller Armidale-class patrol boats which have, at times, found the very heavy seas encountered during border protection and rescue operations off northern Australia heavy going. Navy chief Vice Admiral Tim Barrett said the OPVs would be 80 metres long, with a displacement of 1,700 tonnes and a draught of 4 metres. They will be fitted with a 40 mm gun for self-protection, 3 x 8.4 m sea boats, state-of-the art sensors and command and communication systems that will allow them to operate alongside the Australian Border Force vessels, other ADF units and allies. They will have a crew of around 40. Vice Admiral Barrett said the ships would be able to go further and stay at sea longer than the vessels they were replacing. The first is due to enter service in 2021. Brendan Nicholson is the defence editor of The Strategist. 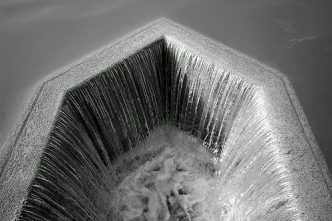 Image courtesy of Lürssen.